There is a chill in the air to signify Summer is really over. With crispy mornings and evenings drawing in, it is time to find those knitting needles, balls of wool and other crafting accessories. The Festive Season is just around the corner, let the preparations begin! Last Saturday we had our first workshop of this Autumn. 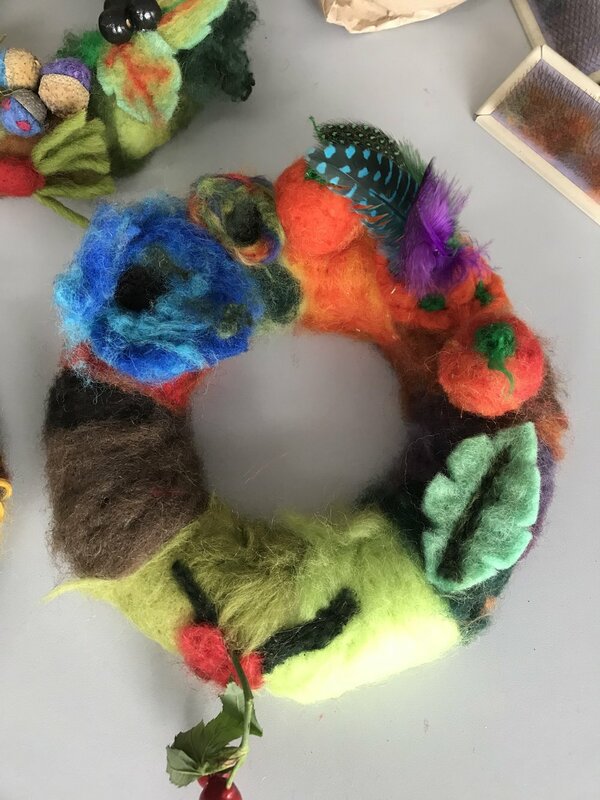 A wonderfully talented group came together to make needle felted Autumn wreaths. 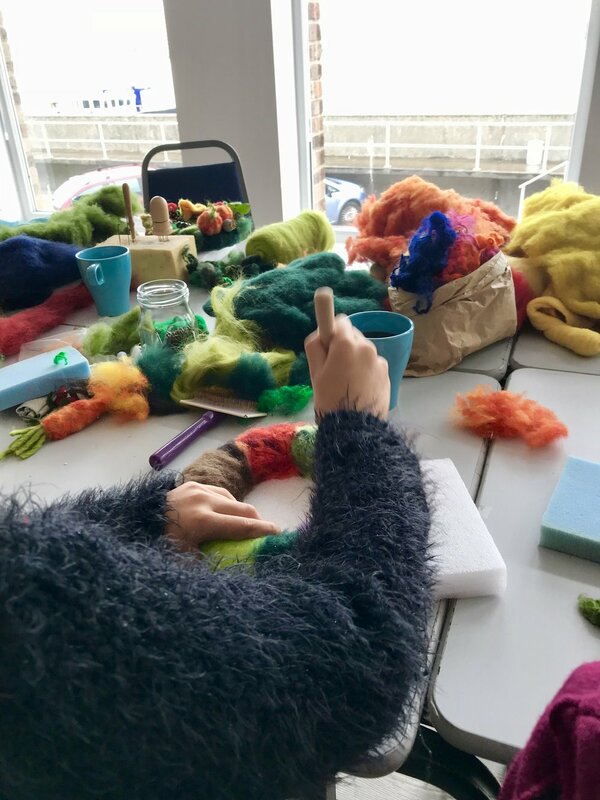 It was a morning of great fun, colourful wool and busy felting needles. Many of them had no previous felting experience but you could never tell by looking at the end results! It was fascinating to follow how simple polystyrene rings turned into beautiful, individual pieces of Art. Our youngest participant was only eight years old. She worked under her Mum’s watchful eye, but very little supervision was needed as her needle control was already very impressive.